GirlZombieAuthors: So Excited! Going to see King! So Excited! Going to see King! A first! 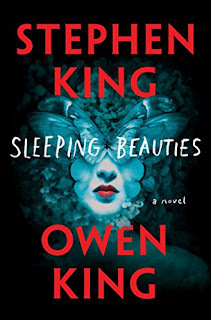 I'm going to go hear Stephen King and his son, Owen, tonight at the Pabst Theatre in Milwaukee! Sounds interesting and strange. The premise: what would happen if women disappeared? We'll see... I really want to hear the two of them, and here's hoping I get one of the signed copies! I'll be sharing more on the blog, so be sure to check back! That sounds pretty cool. I'd like to see one of my favorite authors in a setting like this. It's been a while since I've attempted a King story, but this one may suit me. Haunting of Dr. Bowen, #Mystery Giveaway!